Bugleweed Plants include several highly variable plants in the Ajuga genus. 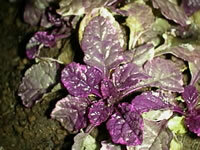 It is one of the best known and most useful ground covers, suitable for many different situations and color schemes. but the most commonly found color is a shade of purplish blue. 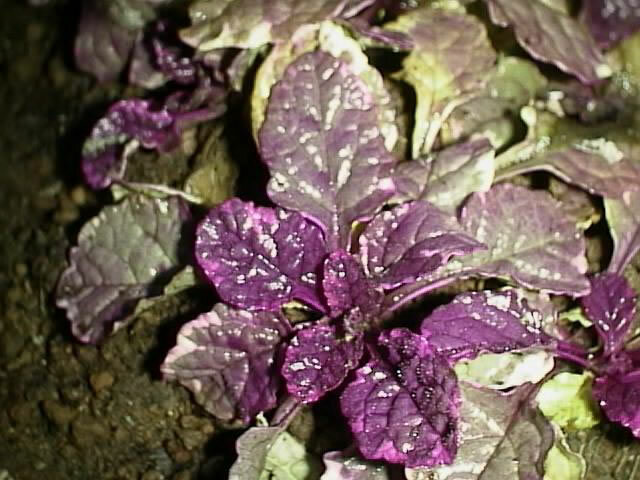 The foliage color ranges from green to bronze to purple. There are also variegated forms available. Ajuga plants are evergreen to semi-evergreen, depending on the species and variety. They are hardy in USDA zones 3-9.
with the peak blossom period in May and June. Generally, most types of Ajuga only reach a height of 6-9 inches when in full bloom. and soon creates a thick carpet of foliage. Ajugas are members of the mint family, and like most mints, their rapid growth rate may create problems. If this invasive attribute of Ajuga is a problem, it may be necessary to use some type of edging material to keep it within bounds. 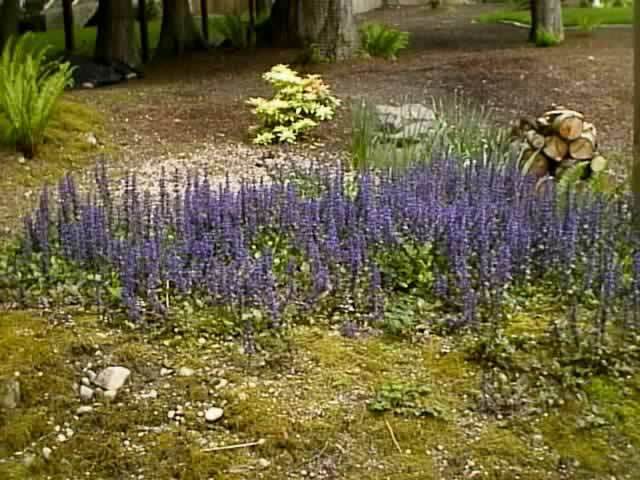 Ajuga tolerates a wide range of soil conditions as long as soil is well drained. The soil should be acidic with a pH in the range of 3.7 to 6.5. Bugleweed can be grown in any type of light from full sun to full shade. The foliage will tend to be smaller when grown in full sun, but the plant will produce more flower spikes. 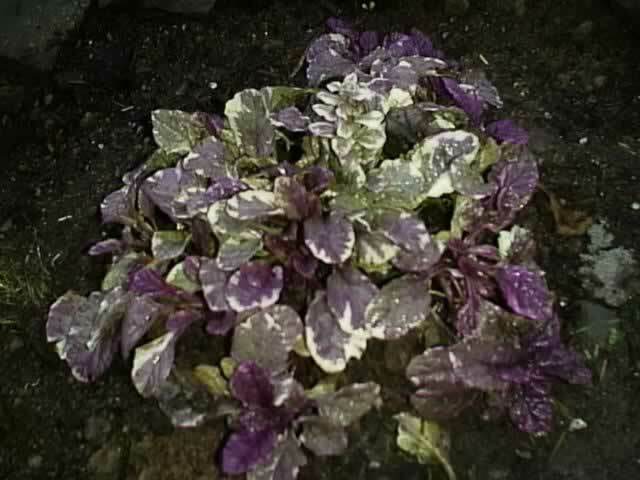 Ajuga prefers moist soil, but will tolerate drought remarkably well. Ajuga plants should be planted or transplanted in the garden in early spring. Plant Ajugas 12 to 15 inches apart, being careful not to plant too deeply. The crown should never be covered with soil or the plant will rot and die. Ajuga can be propagated by digging and dividing established clumps in the fall or early in the spring. Runners are easily removed from the mother plant when they are young. Removal of these offsets will become more difficult as they age, because they will become entangled in the main plant. even if they are to be discarded. This will help to keep the plant contained. Pruning is done by either mowing or cutting the foliage back to the ground. to reduce the chance of crown rot. If non variegated foliage appears on variegated forms of Ajuga, it should be removed. This will prevent the plant from reverting back to it's original green form.